Best Price Fraud, like many other types of health care fraud, is at once complex and quite simple. 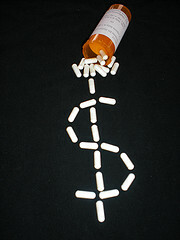 At heart, Best Price Fraud is about drug manufacturers lying to the government in order to increase profits. Likewise, the claims filed against the perpetrators are about the truth. Whistleblowers come to our Northern California health care fraud law firm because they believe in uncovering the truth. In doing so, they can help return money to programs that desperately need every dollar. Understanding best price fraud on a more detailed level requires understanding a bit about how Medicaid deals with pharmaceuticals. If a pharmaceutical company wants to supply drugs to Medicaid patients, they are required to pay a rebate to the states. Manufacturers submit a Quarterly Report that includes data on each individual drug including the Average Manufacturer Price (“AMP”) and the “Best Price.” The Best Price is the lowest price at which the manufacturer sells the drug to any outpatient purchaser nationwide. It takes into account volume discounts, cash discounts, rebates, and any free goods offered with that drug. Best Price excludes a few explicitly laid forth prices such as the amount charged to the Veterans Administration and the Indian Health Service. Using the AMP and Best Price information, the Centers for Medicaid and Medicare Service will tell the manufacturer what rebate the state is owed. Best Price Fraud occurs when the manufacturer provides false data as part of the foregoing process. As is noted in the Guidance, these frauds can give rise to liability under the False Claims Act. In addition to providing data that is simply inaccurate, Best Price Fraud can arise where the manufacturer pays kickbacks or uses other arrangements that provide disguised discounts not taken into account when the manufacturer calculates the figures. The largest settlement in the health care fraud arena was GlaxoSmithKline’s (“GSK”) 2012 agreement to pay $3 billion to resolve various claims. Among the allegations resolved by that settlement was the claim that, from 1994 to 2003, GSK provided certain discounts to drug purchasers for products purchased in “bundles.” Properly accounted for, these discounts would be allocated proportionally among all the bundled products. However, these were not included in GSK’s Best Price calculations. This resulted in GSK underpaying Medicaid rebates and overcharging other public entities. $300 million of the settlement was specifically tied to resolving these allegations. Best Price Fraud, like other forms of health care fraud, steals from government programs and ultimately from the American people. If you have information that a drug manufacturer is not complying with Medicaid rules and is providing inaccurate Best Price information, please call. The law protects whistleblowers from retaliation and, when a case results in money being returned to the government, offers rewards for their time and effort.